The Facilities Committee supervises the upkeep and maintenance of parish buildings and grounds. The Finance Committee assists in the planning and budgeting process of the parish and in monitoring its financial status. It makes recommendations on managing investments, debts, and operational funds to maximize interest income, minimize interest expense, and obtain the best return on the parish’s assets. 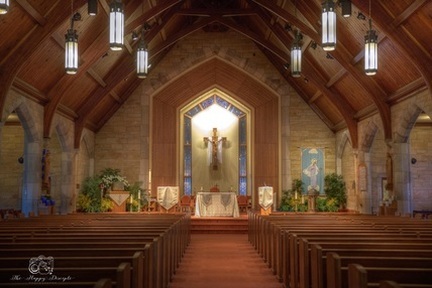 Finance plans for long-range replacement of facilities and equipment and advises the pastor and council on the financial impact of proposed parish activities. People with experience in accounting, financial management, and related fields should inform the pastor of their interest in serving on this committee. Regular meetings are held at 6 p.m. the fourth Wednesday of the month in the Parish Center. The Liturgy Committee formulates the policy regarding the sacramental prayer of the parish and implements general or Archdiocesan policies to provide inspiration and instruction. Under the guidance of the pastor, the committee includes a representative of each liturgical ministry. The Tri-Parish Seniors, consists of seniors from the three local Bloomington parishes. Most have retired or have reached retirement age, and gather monthly for Mass followed by lunch and social activities. The group also plans short trips on occasion. The group meets for 11 a.m. Mass on the second Thursday of the month. Specific information is announced in the church bulletin. 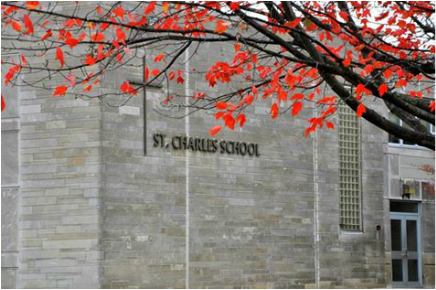 The St. Charles School Commission, which reports to the Parish Pastoral Council, governs the total Catholic education program in the parish. This board is composed of nine who assist the pastor, St .Charles School principal, director of religious education, and daycare director in educational planning and policy development. Any registered member of the parish may run for election for a three-year term on the board. The board elects three officers—president, vice president, and secretary. The board meets at 6:30 p.m. the second Wednesday of each month in the Conference Room of the Parish Hall.